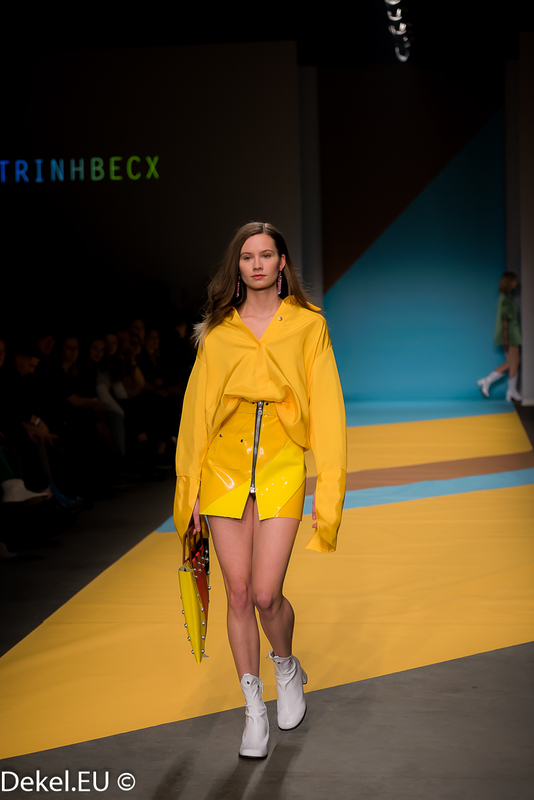 After graduating from ArtEZ Institute of the Arts in Arnhem (June 2015), Tung Trinh and Tim Becx decided to strengthen their forces and compete with the Global Denim Awards (October 2015) for the first time as a duo. During their academy years at the fashion department they were already closely involved with each other’s work. So participating with the denim competition was the perfect next step to start and develop TRINHBECX. The duo combine their individual aesthetics and share the same passion for experimentation. 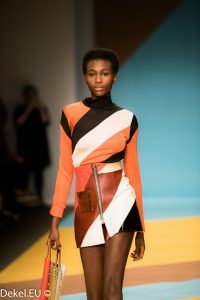 Their affection for working with contrasting materials and combining them like silk, denim, leather and plastics and their passion for craftmanship are essential for the duo’s aesthetics. By redefining and combining traditional men and women garments, TRINHBECX try to push the boundaries within fashion. July 2016 they presented their first entire womenswear collection (‘DRIFT’ SS17) during Mercedes-Benz FashionWeek. Last January their second collection (’40 °’ AW17) was included in the FashionWeek program and coming July it’s time for the presentation of the SS18 collection.